The crew of the Shadow Berg have sailed the sea of the Shackles raiding ships and settlements alike. While they are still mostly unknown by ports and other free captains they are becoming a force to be reckoned with. 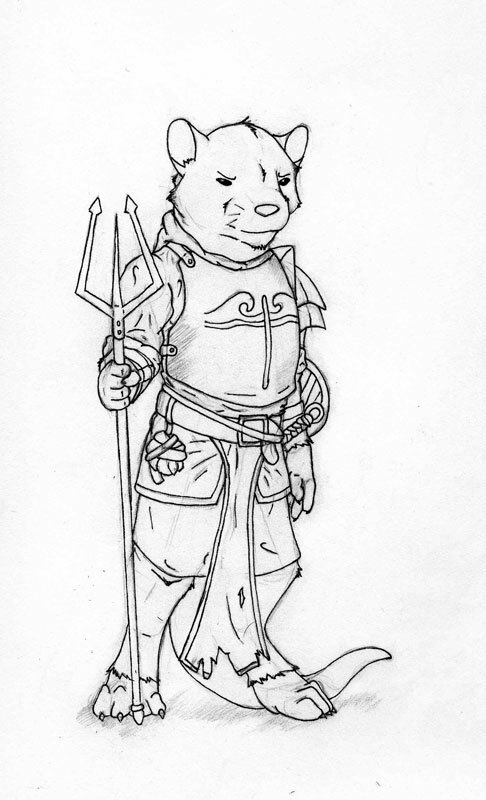 Keton's cleric vestments may be in need of repair but his arms and armor have only improved as the crew has traveled. With a masterwork trident and magical breastplate that allows him to walk on water he is able to withstand the brunt of attacks. My ratfolk cleric has reached level 6 and has the abilities and equipment to truly be the tank of the party.